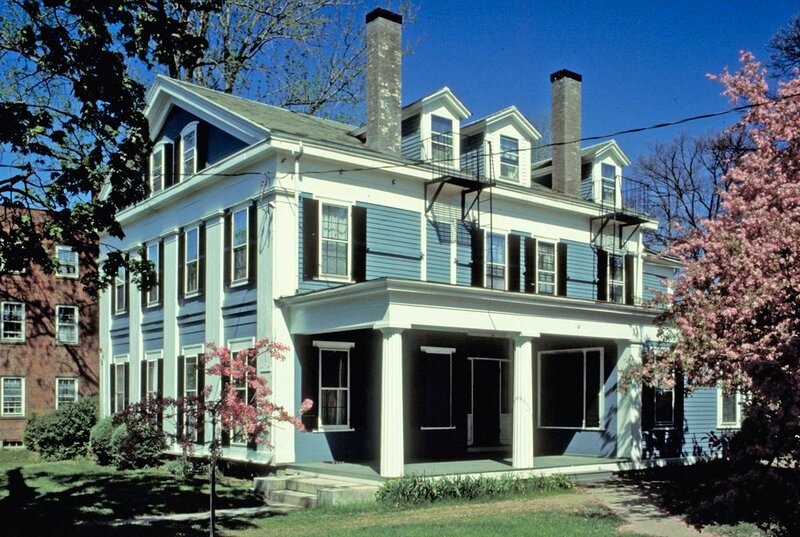 The original buildings for Concord Academy are converted Victorian houses along Main Street. Between the late 1960's and early 1970's, several modest classroom and cafeteria buildings were constructed that enclose the northwest corner of the green. The new Arts Building encloses the northeast corner of the green and creates a true campus feeling. The north wing contains a large, first floor music room with classrooms and faculty offices above. The west wing contains first floor studios for painting and fabric arts, second floor studios for ceramics and print making. Photography darkrooms and video editing suites are below grade. For material, detail and color, architectural precedent was drawn from existing buildings on campus and the Longy School of Music, located near Harvard Square in nearby Cambridge. 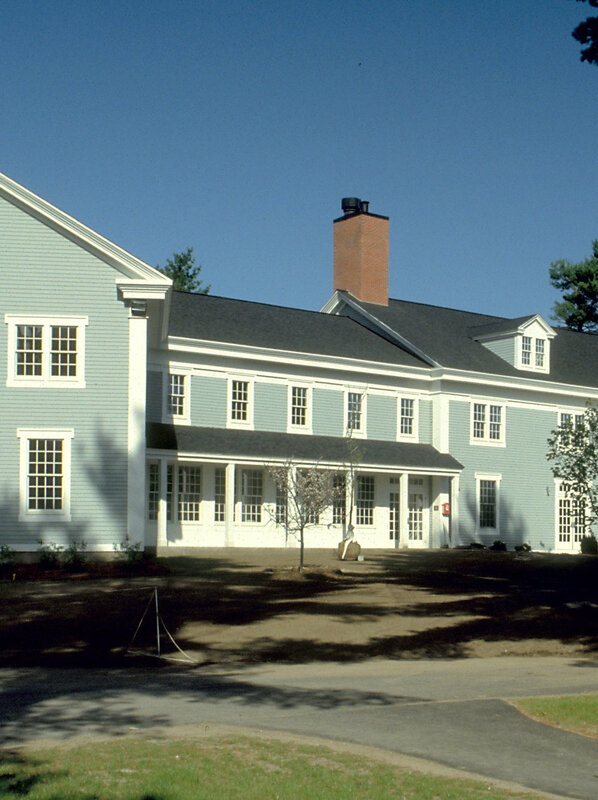 The result is a new Arts Building that pleases and delights the supporters, administration, alumni, faculty and students of Concord Academy. 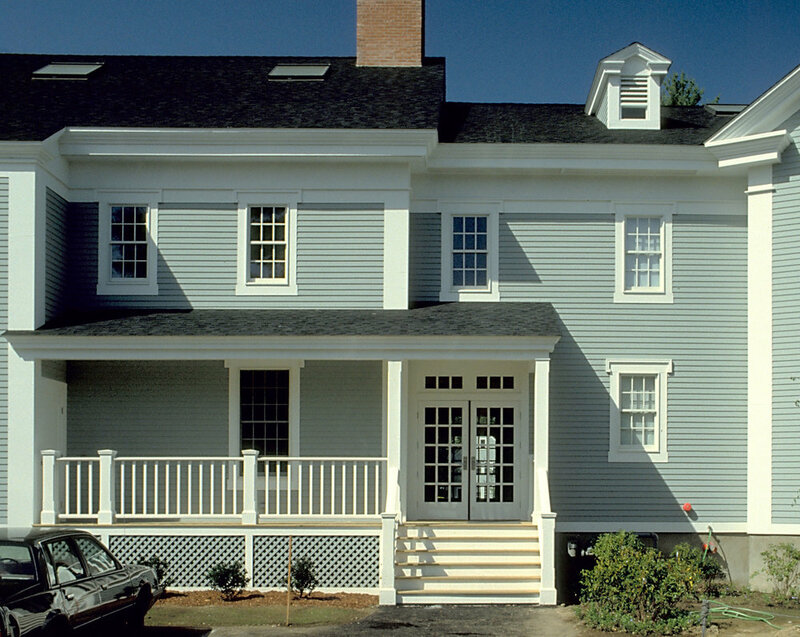 This project executed for Shepley, Bullfinch, Richardson and Abbott in Boston, MA.